Cacti are described as one of the most “easily recognizable, and morphologically distinct families of plants”. They are prized in the landscape and as houseplants for their unique appearance and relatively low water and maintenance requirements. It is generally cause for alarm when a slow-growing cactus appears to suffer or die. The death of a cactus is most likely caused by or associated with excessive moisture around the roots, although factors like a too-deep planting, low temperatures and fungal pathogens also potentially present problems for a cactus. 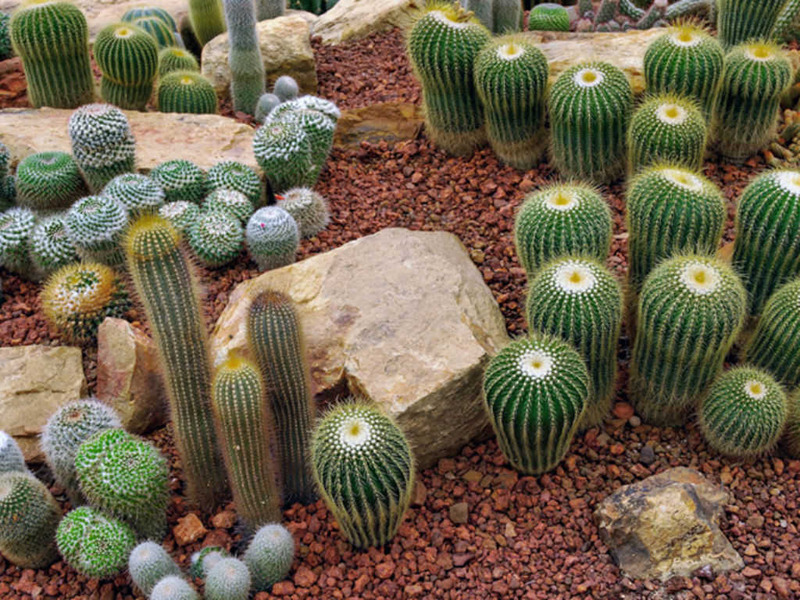 Poorly-drained soil, particularly when combined with over watering, can quickly kill a cactus or leave it vulnerable to invasion by soil-borne fungal pathogens. Cacti require fast-draining soil, but soil with too high a sand content do not retain sufficient moisture and nutrients. A potting soil labelled for use with succulents or sand amended with well-rotted compost is appropriate. In outdoor plantings, amending the soil so it contains up to 25% pumice improves soil drainage. As a general rule, cacti require only when the soil 2 to 3 inches (5 to 7.5 cm) below the soil surface is completely dry, or about every 2 weeks when the cactus is growing in good, well-drained soil. Planting a cactus too deeply can lead to its death. Positioning a cactus at the same soil depth it was grown at in the nursery or a previous container is crucial, although it is perhaps tempting, especially with columnar cacti, to bury enough of the stem to hold it securely in place or match the heights of multiple cacti. All green stem tissue should remain above the soil. When a newly-planted cactus starts to lean, a brace made from wood, not additional soil or medium packed firmly around the base of the plant, is the best way to hold it in place until it supports itself. Various fungal rots or wilts including Armillaria root rot, Fusarium and Pytophthora are potentially problematic on cacti. Cacti affected by these diseases may suffer from slow growth, decline, visible rot or discoloration and even death. Cutting into infected, cacti reveals discolored tissue. Problems with these pathogens are avoided by preparing the site well so it offers good drainage, avoiding overwatering and promptly removing plants that show symptoms of rot before it spreads. Where fungal wilts have been a problem, soil solarization kills many pathogens and pests in the soil. Freeze damage or sunburn, generally only cause cosmetic injury on a cactus, but this type of injury could appear as black or yellow dead areas on the plant. Freeze injury appears first as a blackening of the areas of the plant that were exposed to the cold before these areas become dry, crisp and sometimes yellowish. When the freeze is not very hard, the cactus usually outgrows the damage within a few years. Keeping indoor cacti away from cold drafts or windows during cold weather and covering cacti in the landscape with a cotton sheet on nights when temperatures dip near freezing offers adequate cold protection. Sunburn of cacti most commonly occurs when a cactus grown in a greenhouse or kept indoors is introduced to an area with full sunlight without a period of acclimation. Cacti that are sunburned turn yellow and the epidermis dies, causing a permanent scar, but the cacti generally recover. Sunburn is avoided by planting cacti in the same direction they were previously oriented or gradually introducing a cactus to the amount of sun in its new environment.